Within the production of photovoltaic panels (also called solar panels or solar panels) there basically a predominant technology, silicon-based, although there are other technologies based on other combinations of elements but have a very small market share but maintenining. In any case due to cheaper silicon technologies, they have remain hegemonic. In the crystal can be differentiated cells that form. Monocrystalline usually come from cylindrical ingots cut slices, so they have holes in the corners. Polycrystalline are perfectly square and amorphous panels are physically and tinted windows with small lines that intersect. 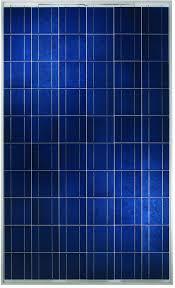 Crystalline panels have a higher efficiency amorphous, so for the same wattage amorphous solar panels cover more area. Within the crystal, monocrystal, generally have a little more efficient, but much depends on which models and manufacturers, there polycrystalline panels more efficient than some other manufacturers monocrystalline other manufacturers. All photovoltaic panels will seriously affect the temperature in operation. That is, as is the hottest panel produces less. The peak power characterizing a panel is measured at 25 C of ambient temperature, a higher temperature produces less. A point in favor of amorphous panels is that they are less affected by temperature. And his second point in favor, and is laying on the market, is that they are a bit cheaper than crystalline, but every day the price is more similar, and the truth, not being facilities of a panel, usually out more expensive labor and material have to install more panels thus saving on the price of the solar panel. Another clear difference between the two technologies is that the amorphous has a very strong degradation during the first months. So to some entity facilities you can only trust reputable manufacturers (in practice only First Solar). The only difference between these are the electrical characteristics, in the case of the panels called isolated, generally have suitable voltage for charging, that is, have panels 12V, the 24V, and to a lesser extent, 36V and the 48V. The 36V and 48V are scarce because combinations of 12V and 24V batteries can be charged at any voltage. These panels are usually more expensive than grid connection, as larger production lines manufacturers occupy panels networking, as well as the size, because this type of solar panels there from 3W manufactures custom power up any power. It is for this reason we have developed solar charge conventional battery charging panels using a network connection. Thus for isolated facilities of a certain size can be profitably used networking panels with special controllers for battery charging. This guide has tried to show the main types of photovoltaic panels and their main characteristics. 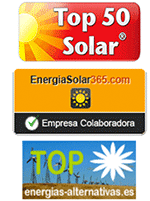 For more information you can make inquiries in soporte@tienda-solar.es. I hope having helped, for any comments contact with us.